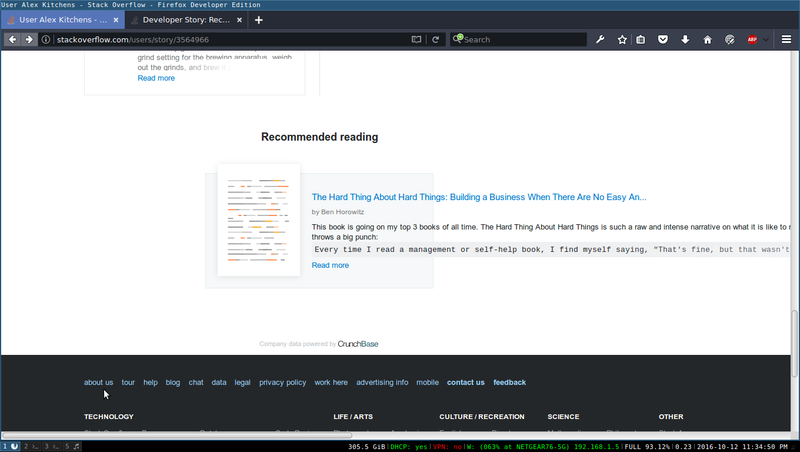 On my Developer Story, I have one Recommended Reading, and the whole text overflows from the box. I have attached a screenshot. The text was copied and pasted from a review I left on GoodReads. Thanks for your report, it's now fixed and will be live after one of our next production builds.